Valentine’s Weddings always make me think of a college friend who met her husband on a blind date for Valentine’s Day around 10 years ago. Naturally, they planned their nuptials for Valentine’s Weekend a few years ago. For the couple who love to love and always make time for romance, consider marking your love with a Valentine’s Day Wedding. 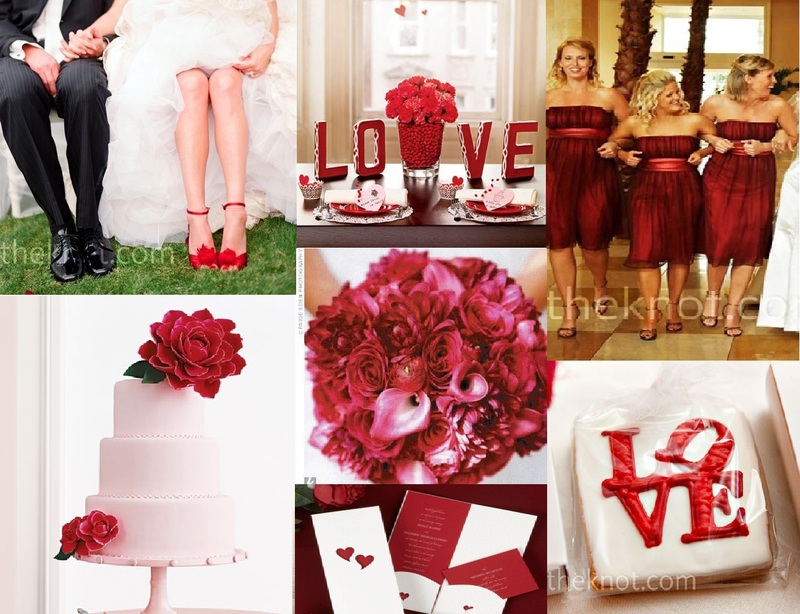 Here are my Valentine’s Day Wedding Inspiration boards. 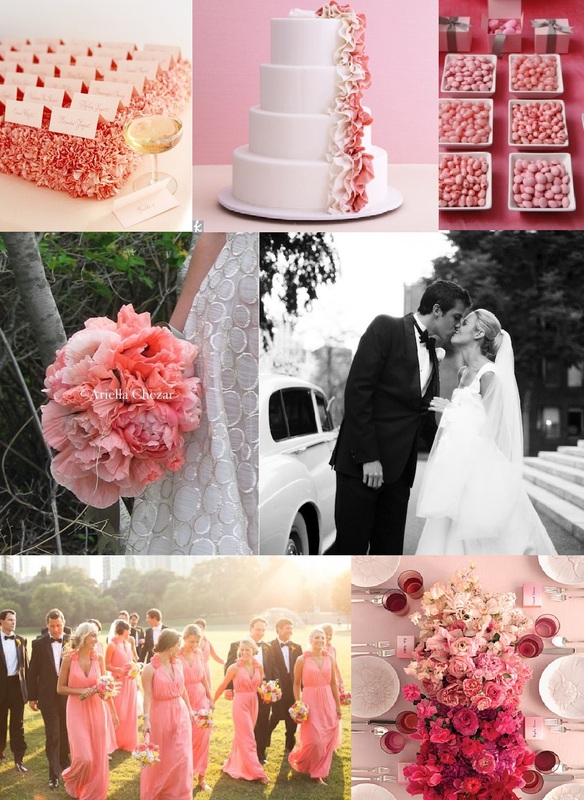 Both include a mix of modern and traditional wedding ideas, the first is bold with red details, the second is soft and romantic with a range of soft pinks and pink ombre decor.